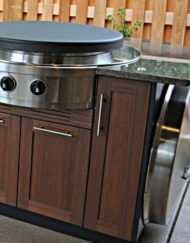 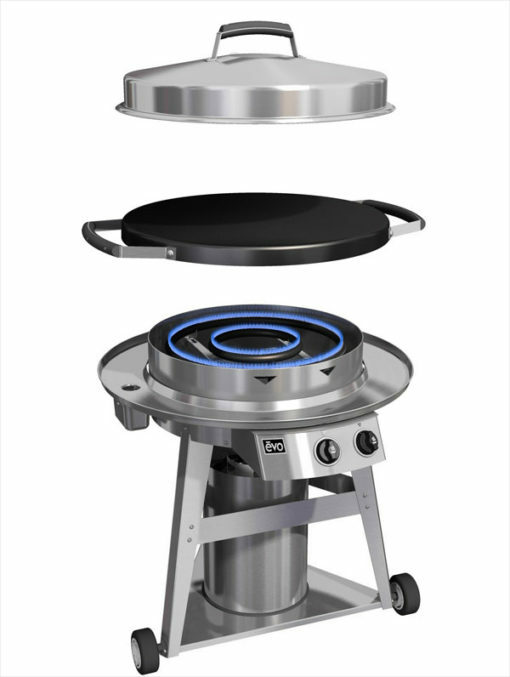 The Evo Professional Classic Wheeled Cart is the perfect solution for cooking virtually any type of food outside. 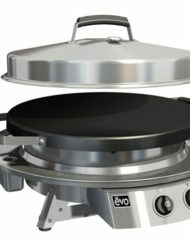 With the Evo Grill you cook directly on the surface, or you can use a pot or pan. 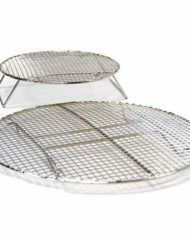 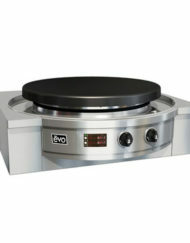 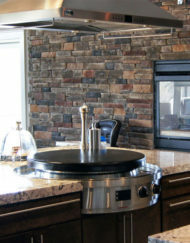 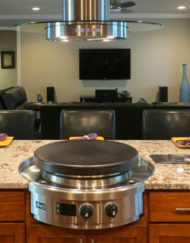 The Evo grill allows you to sear, saute, boil, toast, stir-fry and more! 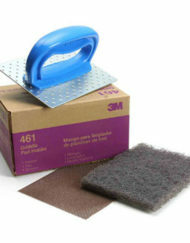 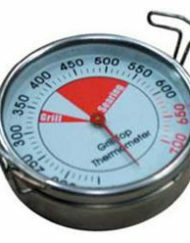 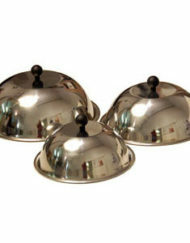 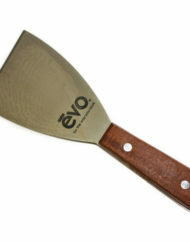 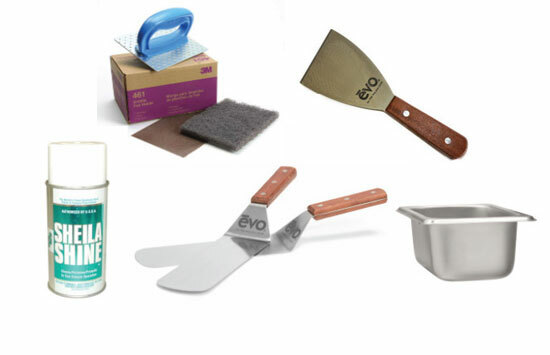 Evo helps you prepare a variety of foods outside perfectly every time. 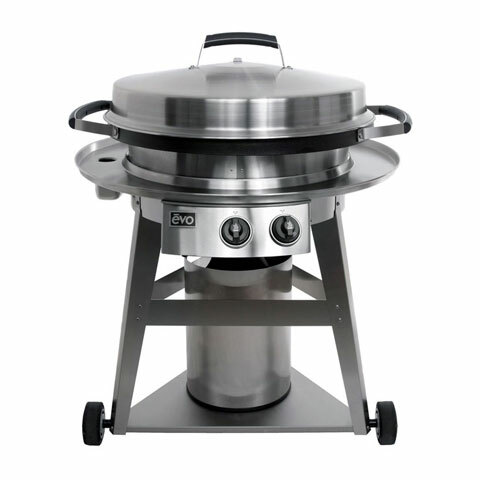 Evo grills are preferred by Executive Chefs all over the world, because no other grill allows you to cook as precisely and as fun. 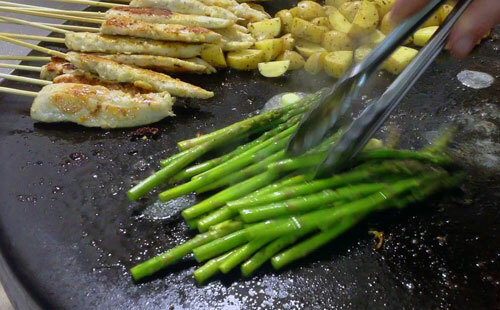 Cook pancakes for breakfast, cook fajitas for lunch, or cook scallops dinner. 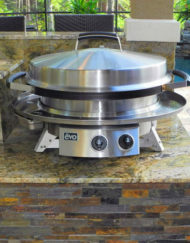 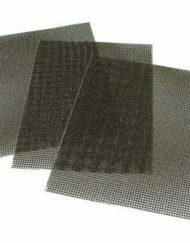 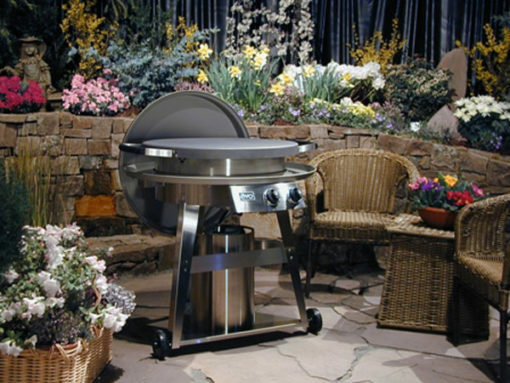 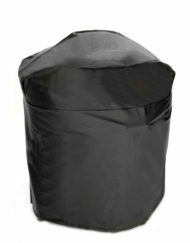 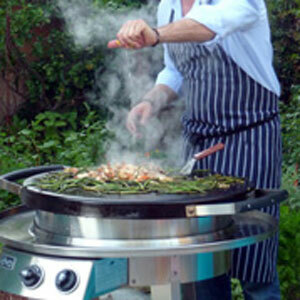 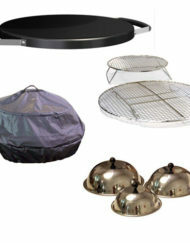 The Evo Grill successfully produces meals outdoors from the most delicate to the most demanding applications. 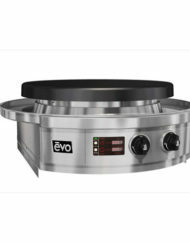 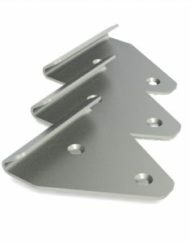 All Evo grills are made of 304 stainless steel and carry a limited lifetime warranty. If you enjoy cooking outside, the Evo Professional Wheeled Cart is the grill to own.